Collagen hydrolysate protein is a nutritionally rich and complete collagen peptide that helps restore and invigorate healthy skin, hair, teeth, nails, joints, digestion and hormonal balance. 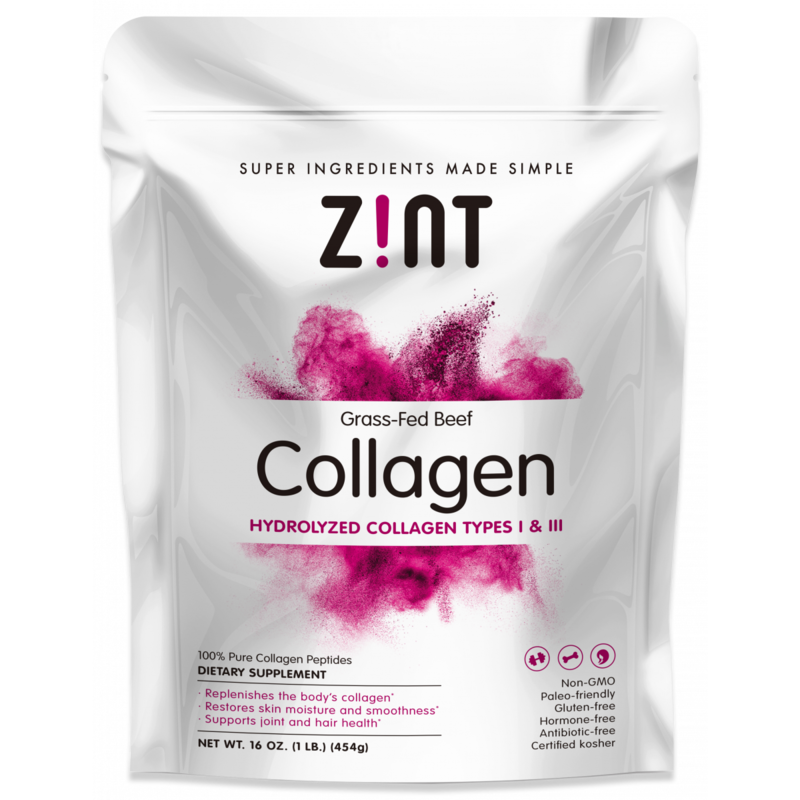 While collagen hydrolysate provides the same benefits as gelatin, the process of hydrolysis reduces the collagen molecules to a size at which they are more readily bioavailable and bio-absorbable. 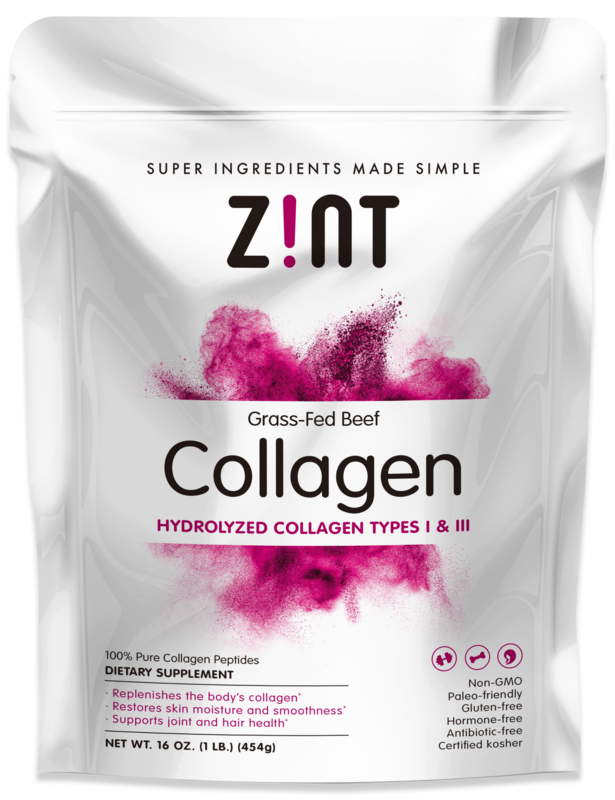 Like our gelatin, Zint Collagen Hydrolysate is derived from 100% pure, non-GMO, kosher-certified, grass-fed bovine hides. The natural raw materials are purified and extracted in a way that preserves its vital amino acid profiles, including arginine, glutamine, glycine and proline. Completely neutral in flavor and texture, our hydrolyzed collagen powder is highly bioavailable and dissolvable in cold water. Mix it in coffee, smoothies, salad dressings or your favorite recipes for a simple way to supercharge your anti-aging supplement regime. I have been drinking the collagen for a couple years now .. the customer service has been awesome. I love the product and the company. Very pleased with easy dissolution in my coffee or cereal. I put the powder in my coffee every morning and most evenings. I can't taste any difference! This is a great product!